Valentine’s Day is literally right around the corner (one week from today to be exact!). Whether you’re heading out for a romantic dinner with your significant other or having a night with your girlfriends it’s always a fun excuse to get all dolled up! I thought this sequin dress from the new Olivia Culpo collection that just launched in Express stores would be the perfect dress for Valentine’s Day. I love everything about this dress - from the length to the red sparkles to the beautiful ribbon tie waist. And of course, the hot magenta color. The one thing that I love about the new collection is that it includes a great range of different styles - from casual to edgy to dressed up. It honestly could not have come at a more perfect time. 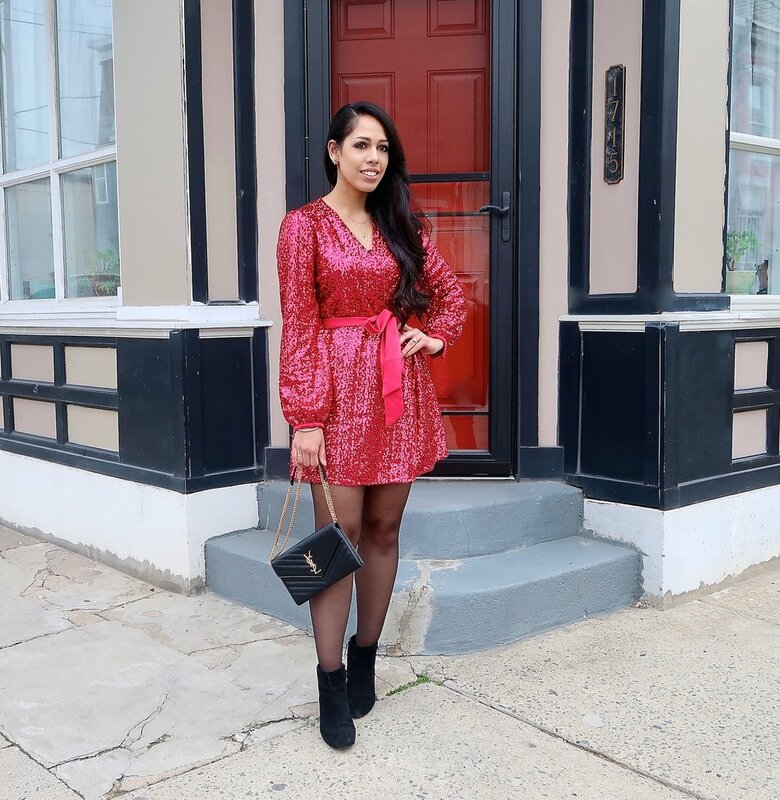 Scroll through all my favorite dresses below to get ready for Valentine’s Day!